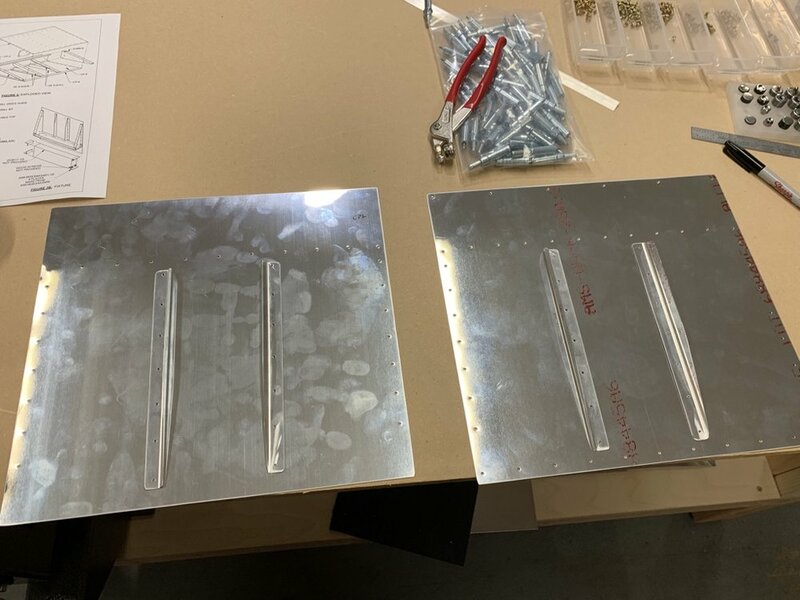 Over the week I worked on the Vans “airfoil” practice kit from to hone my skills and complete the set-up of the tools and shop. The kit was easier the second time since I had completed one with a partner at the Synergy class, but I spent extra time ensuring that I had the shop and tools set-up properly. The first step was to prepare the skins and ribs for riveting. I experimented with deburring processes on the spars and ribs and skins. I experimented with dimplng processes and set up the DRDT-2 dimple with the 3/32 dimple die set for the ribs and skins. The next step was to rivet the ribs and spar together with the doublers using a 470 universal head rivets, then match drill the skins with the spar and ribs. Once the skins were match drilled both skins were riveted to the spar. The final step was to rivet the skins to the ribs then the trailing edge and rolling the leading edge. 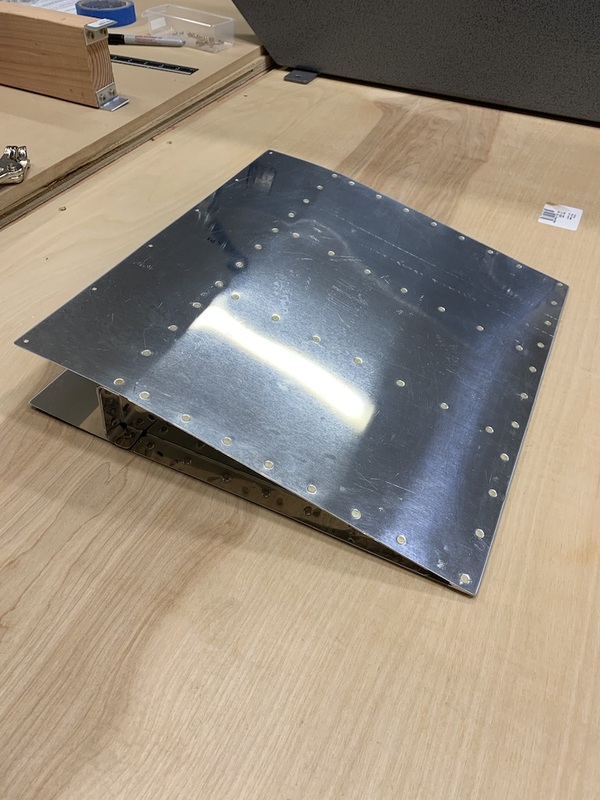 The most challenging aspect of the kit was dimpling and riveting the rivets in the narrow part of the ribs and riveting the double-flush rivets on the trailing edge. I think my results were acceptable, but not as nice as I would have liked. After reading some posts on VAF I found that there is “no-hole” yoke for the squeezer that can aid in accessing tight locations. 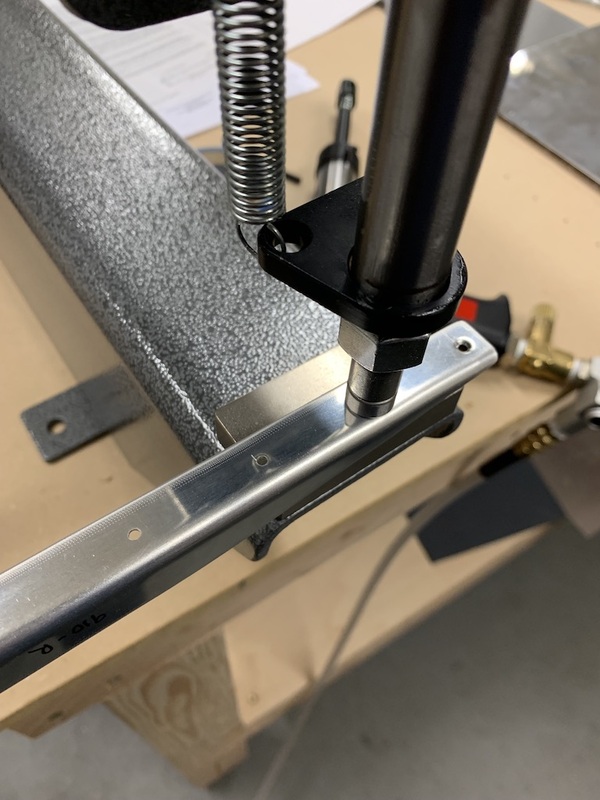 I also did some research on riveting the trailing edge to ensure the straightness and I think I’ll ask for some advice here before I try again on a real par.